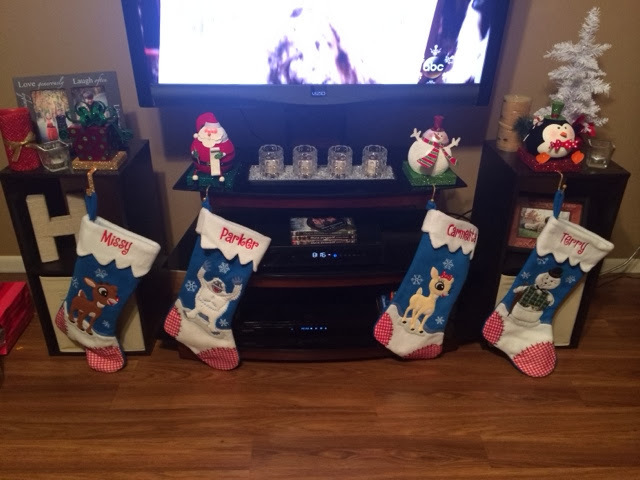 Our house is finally starting to look like Christmas!!! 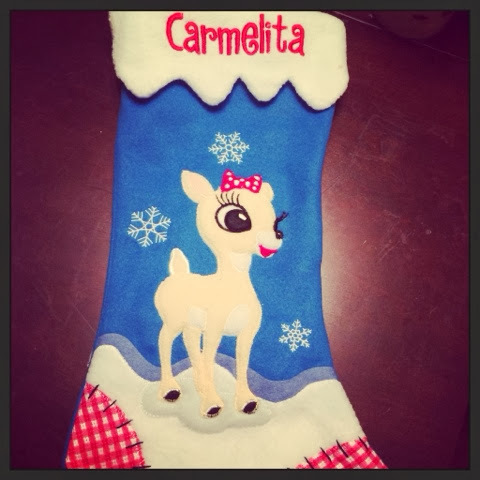 Little Miss Carmelita was added to our family this year, so I had to order another stocking! Carmelita and Clarice look alike, so it was a perfect match for her! 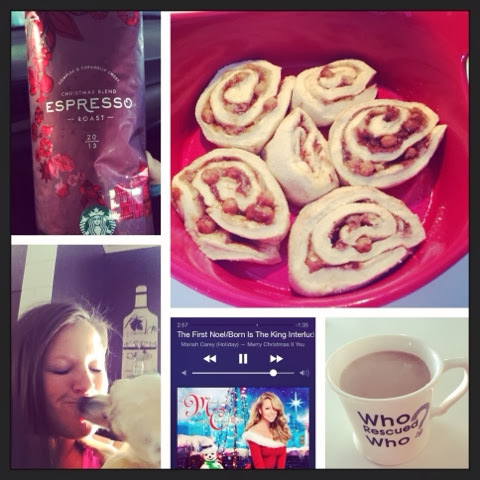 We started Saturday morning just how every morning should start: Starbucks Christmas blend coffee, homemade caramel cinnamon rolls, Christmas music, and puppy snuggles and kisses. 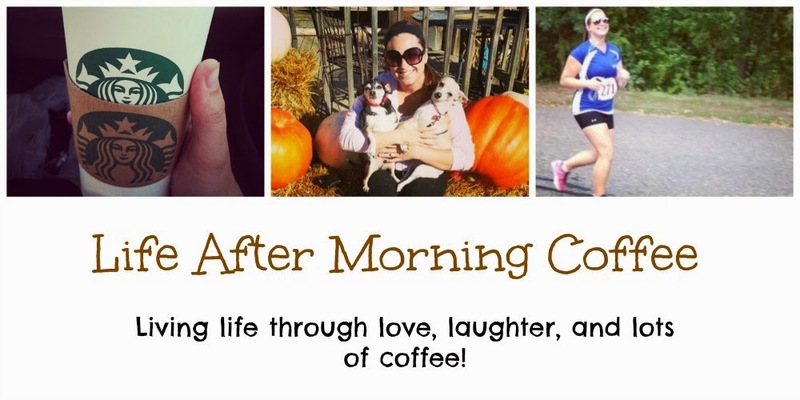 I am in love with my new coffee mug! 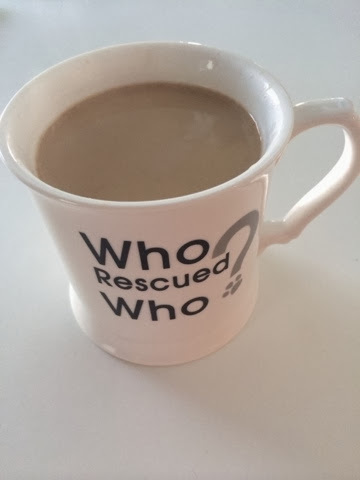 I found this mug for $3.99 at TJMaxx (such an awesome store) and couldn't pass it up! I also have this quote as a bumper sticker. I know, I'm crazy. I ran around town this afternoon with my sister-in-law and we hit up Bath & Body Works (Buy 3, Get 3 Free EVERYTHING in the store! ), Pier 1, and TJMaxx. I got some more aromatherapy body wash, room spray, and wallflower refills! 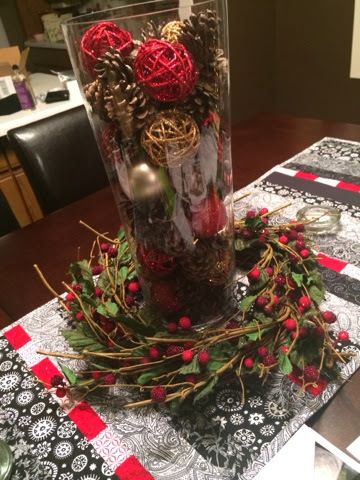 Now my house will smell like Christmas, too :) Then I grabbed a few Christmas decorations to add to our holiday decor. We don't have a ton of Christmas decorations right now, but I know over time we will collect things and in ten years I'll be wondering where it all came from! So I'm trying to hold back from buying everything in sight, it's all so pretty! We headed over to Mega Foods where they were having their "Taste of the Holidays". We sampled a lot of delicious food and decided it was enough to call it lunch! Then it was off to Pleasant Valley Tree Farm where Terry and I picked out our Christmas tree! 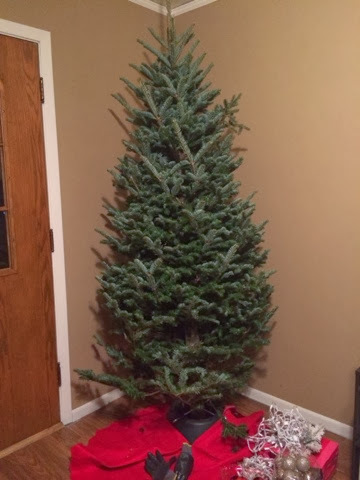 Since it was -15 degrees with the windchill, we didn't take the hayride out to pick out and cut down our tree, but rather picked one that was already cut. They are so wonderful there! They shake and wrap your tree then even tie it to your vehicle for you while you enjoy free hot cider or cocoa and popcorn! We even got a free Christmas ornament for signing up for their mailing list! Time to cuddle up with the pups and hubs and watch a movie! It's a great night to stay in and stay warm! Hope everyone else is doing the same and enjoying their weekend!